This January The Kuzuko Foundation and its representatives delivered stationary and gift packs to learners from the Middelwater and Bracefield communities. This is thanks to the sponsorships of Makro and Canon, who gave R5000 each. The Kuzuko project is the brainchild of Dr Kim Tan, a Malaysian entrepreneur based in the UK who was inspired by the beauty of the wilderness and the surrounding community to start the project as a catalyst for further economic, environmental and social transformation. Kuzuko now employs over 100 people, of whom 90% come from local communities, and has created around 250 jobs in an area experiencing 70% unemployment. 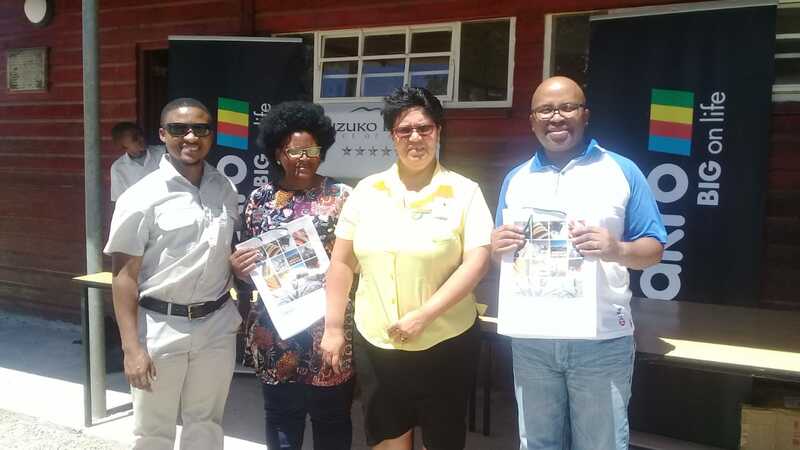 Kuzuko purchases a large quantity of supplies and services from our nearest town, Somerset East, helping to stimulate the development of local businesses and economic growth. 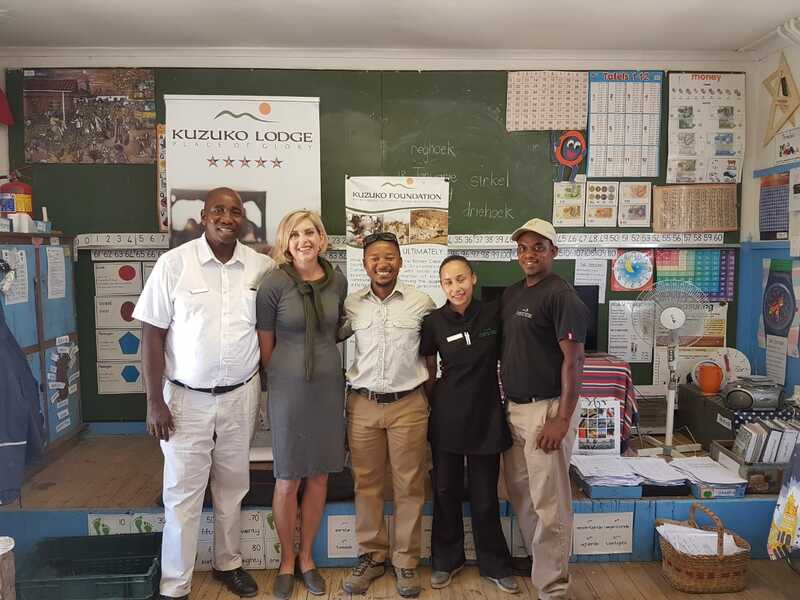 Pictured here from left to right: Food and Beverage Manager, Dorington, Middelwater Principal, Jackie Lombard, Coordinator of The Kuzuko Foundation, Freddie, Head Spa Therapist Caylon and Maintenance worker, Bantu. Pictured above from left to right: Coordinator of The Kuzuko Foundation, Freddie, a Bracefield teacher, Makro representative, Ursula and Bracefield Principal, Mr. Feni.